This document is no longer being updated. For the latest information about Apple SDKs, visit the documentation website. With Apple TV on tvOS, users can now play games, use productivity and social apps, watch movies, and enjoy shared experiences. All of these new features bring new opportunities for developers. When porting an existing project, you can include an additional target in your Xcode project to simplify sharing of resources, but you need to create new storyboards for tvOS. Likely, you will need to look at how users navigate through your app and adapt your app’s user interface to Apple TV. 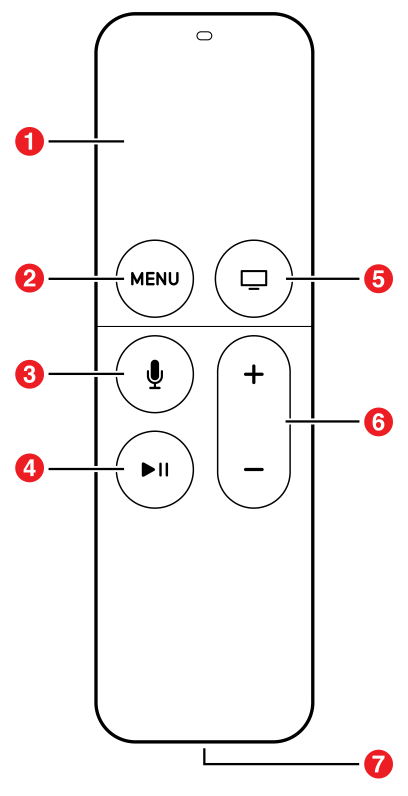 For more information, see Apple TV Human Interface Guidelines. A new Apple TV-specific provisioning profile is required for Apple TV development and distribution, which is used with your existing iOS development and distribution signing identities. You create a new Apple TV provisioning profile the same way that you create an iOS provisioning profile, using Fix Issue in Xcode, or through the developer portal website. For information on capabilities supported by Apple TV, see Supported Capabilities. Although iOS and tvOS apps are distinct entities (meaning there isn’t a single binary that runs on both platforms), you can create a universal purchase that bundles these apps. The user purchases an app once, and gets the iOS version for their iOS devices and a tvOS version for Apple TV. For more information, see App Distribution Guide. Touch surface. Swipe to navigate. Press to select. Press and hold for contextual menus. Menu. Press to return to the previous menu. Siri/Search. Press and hold to talk in those countries that have the Siri Remote. In all other countries, press to open the onscreen search app. Play/Pause. Play and pause media. Home. Press to return to the Home screen. Press twice to view open apps. Press and hold to sleep. Lightning connector. Plug-in for charging. The process for creating apps for Apple TV is similar to the process for creating iOS apps. You can create games, utility apps, media apps, and more using the same techniques and frameworks used by iOS. New and existing apps can target both iOS and the new Apple TV, allowing for unprecedented multiplayer options. All video playback on Apple TV is based on HTTP Live Streaming and FairPlay Streaming. See About HTTP Live Streaming and FairPlay Streaming Overview. For HTTP Live Streaming authoring specifications, see HLS Authoring Specification for Apple TV. Users can place any Apple TV app in the top row of their app’s menu, which can contain up to five icons. When a user selects an app icon in the top row, the top of the screen shows content related to that app. This area is called the top shelf. The top shelf can showcase an app’s content, give people a preview of the content they care about, or let them jump straight into a particular part of the app. A UI element is in focus when the user highlights an item, but has not selected an item. When a user brings focus to a layered image, the image responds to the user’s touches on the glass touch surface of the remote. Each layer of the image rotates at a slightly different rate to create a parallax effect. This subtle effect creates a sense of depth, realism, and vitality, and emphasizes that the focused item is the closest thing to the user. Your layered images are going to be created by your designers. But how do you get them into your app? The UIImageView class has been modified to support layered images, so in most cases you only need to make minimal coding changes. Your workflow is going to change depending on whether you are adding the images directly to your app or loading them from a server at runtime. TVServices. Describes how to add a top shelf extension to your app. See TVServices Framework Reference. Apple TV does not have a mouse that allows users to directly select and interact with an app, nor are users able to use gestures and touch to interact with an app. Instead, they use the new Siri Remote or a game controller to move around the screen. In addition to the new controls, the overall user experience is drastically different. Macs and iOS devices are generally a single-person experience. A user may interact with others through your app, but that user is still the only person using the device. With the new Apple TV, the user experience becomes much more social. Several people can be sitting on the couch and interacting with your app and each other. Designing apps to take advantage of these changes is crucial to designing a great app. Your app can store and retrieve user data in iCloud. Your app can download the data it needs into its cache directory. Downloaded data is not deleted while the app is running. However, when space is low and your app is not running, this data may be deleted. Do not use the entire cache space as this can cause unpredictable results. Your app can package read-only assets using on-demand resources. Then, at runtime, your app requests the resources it needs, and the operating system automatically downloads and manages those resources. Knowing how and when to load new assets while keeping your users engaged is critical to creating a successful app. For information on on-demand resources, see On-Demand Resources Guide. This means that every app developed for the new Apple TV must be able to store data in iCloud and retrieve it in a way that provides a great customer experience. To conditionalize code so that it is only compiled for tvOS, use the TARGET_OS_TV macro or one of the tvOS version constants defined in Availability.h. In an app written in Swift, use a build configuration statement or an API availability statement. Starting in tvOS 10.0, you are able to personalize your app using light and dark themes. Apps automatically adopt a light theme unless you specifically tell your app to adopt dark themes. To adopt a dark theme, set the UIUserInterfaceStyle property in your apps info.plist to either Dark or Automatic. If you create a new app using Xcode 8.0, the UIUserInterfaceStyle property is automatically set to Automatic. By linking the iOS and tvOS versions of your app in iTunes Connect, you can enable universal purchase for your app. Universal purchase allows users to download both iOS and tvOS versions of your app with a single purchase, providing a seamless experience for your users. See Universal Purchase of iOS and tvOS Apps to learn how to set up universal purchase. You must declare that your tvOS app provides specific background services and must be allowed to continue running while in the background. To do this, add the UIBackgroundModes key in your app’s info.plist file. The key’s value is an array that contains one or more strings identifying which background tasks your app supports. Specify the string value audio to indicate your app plays audible content to the user while in the background.